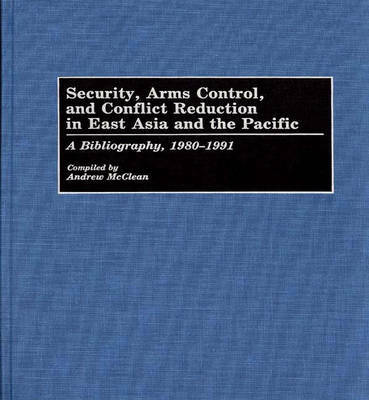 This is the most comprehensive bibliography to date on the vast English-language literature covering the myriad aspects of peace and security issues in the East Asia/Pacific region. McClean contacted 150 key research institutions and publishers around the world for information about the most significant books, articles, dissertations, and official documents on international and intra-state security, arms control, conflict-avoiding diplomacy, and militarization in the area. He has selectively annotated 12,645 cross-referenced entries and organized them into 27 sub-regional and country chapters including two particularly extensive chapters on Japan and China and two further chapters on relations between Australia, New Zealand, and the United States, and on U.S. and Soviet policy.